Dogs do important work in everyday life across a wide range of areas, including in the police, on farms and in the military. 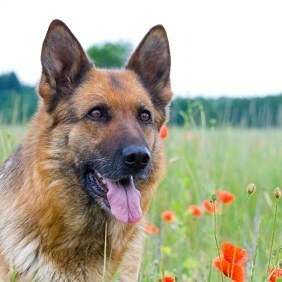 Sometimes it can be difficult finding insurance for working dogs, even if they are retired - for example, pet insurance for ex-police dogs can be difficult to get. In this article we explore the necessity for working dog insurance and which companies might be able to insure you for it. If you're looking for pet insurance for a non-working dog, check out Bought By Many's unique pet insurance products by joining our pet insurance group. What jobs do dogs do? Do I need pet insurance for my working dog? Which companies sell pet insurance for working dogs? Dogs perform work roles in many sectors of society. Some dogs herd sheep and cattle, help with search and rescue efforts, and guide people with visual or hearing disabilities. Some work in the police forces as sniffer dogs or attack dogs. Others still may work in the military, such as the 200 dogs still working in the 1st Military Working Dog regiment, currently serving in Afghanistan. These dogs do vital work guarding, patrolling, and detecting improvised explosive devices. Their health and wellbeing is of the utmost importance to the regiment. Specialist veterinary officers are continually on hand to take care of them. All these dogs, whatever they do, need proper treatment and attention from vets to keep them healthy and safe. Pet insurance can be useful as it can cover your pet if it becomes ill or injured. Working pets may be at a higher risk of getting injured, meaning having some cover for veterinary bills could be useful. On top of this, pet insurance can provide cover for things aside from vet bills, such as public liability cover in case your pet injures someone or damages their property. Claims against you of this type can be costly, so having a pet insurance policy to fall back on may be useful. On the other hand, some people would rather put away some money in an account each month to pay for any vet bills that may arise. This is called 'self-insuring'. Find out more about this in our pet liability insurance article. Which companies offer pet insurance for working dogs? It can be difficult getting insurance from the more well known insurance companies for working dogs. Most won't insure working dogs, as they think the risk of them becoming ill or injured is higher if the dog is working rather than just being a pet. Moreover, it can be difficult finding pet insurance for a retired police dog, for instance, as it may be trained to attack. Insurers are reluctant to insure dogs that have been trained to attack. However, one company, Petplan, might be able to insure your working dog. You can't get a quote online with it for a working dog, but if you call the company it may be able to offer you insurance. In partnership with Countryside Alliance, Petplan offers insurance for dogs being used in connection with game shooting, stalking, gundog working and training. There are several specialist insurance companies that can insure working dogs, too. In partnership with The Field, PetGuard are offering insurance for working dogs. Its insurance focuses on dogs used for game shooting, vermin control and wildfowling. We have already created a group for working Gun Dogs. Join the group to get the exclusive offer we've negotiated with Lifetime Pet Cover.